Brent's Travels: Day 43 - Flat Drive / Tent? In search of all the good there is in life. Day 43 - Flat Drive / Tent? I got up at 6:00 and was on my way at 6:15. 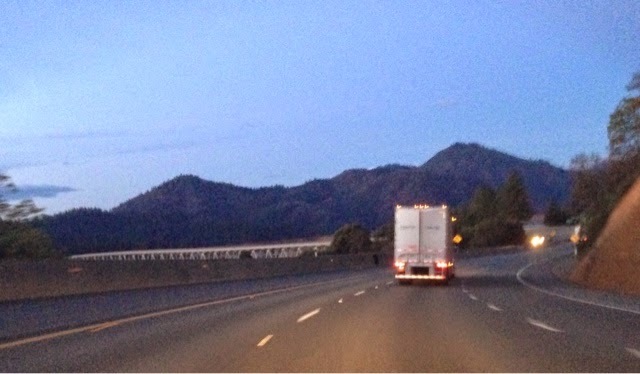 Prior to the weather changing I was going to take I80 over the Sierra Nevada Mountains by Lake Tahoe. This morning Tajoe was getting snow so my travels took me down the Central Valley of California. This route can be (is) very boring, having taken it a number of times. Certainly it is not as picturesque as my previous posts. This is all I could get for color out of the sunrise. 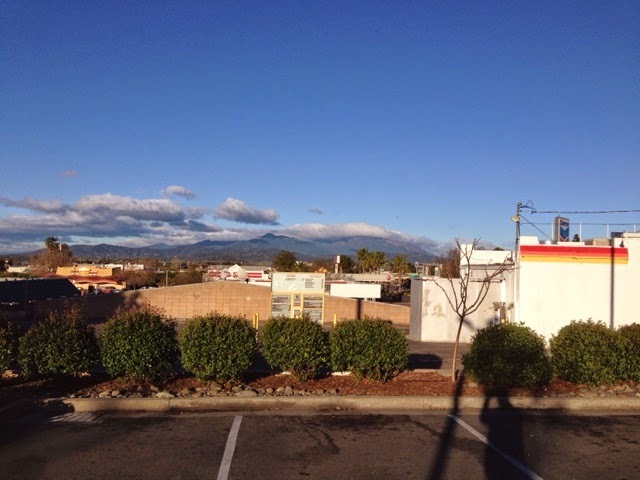 My first stop was in Redding, CA for my McDonalds stop. WIFI was just ok. I figured I would hit the bathroom before continuing on my 7 hour drive, only to find I need a special coin to get in. I guess this is how they control mon patrons using their facilities. Since I was a patron they put in the special coin and let me in. Did I say it was flat, flat, flat for, miles, miles, miles! The flat road made for great mpg on my Prius getting a high of 66.2 average mpg while on the highway. When I got off the highway it went down to 65.5 for the day. 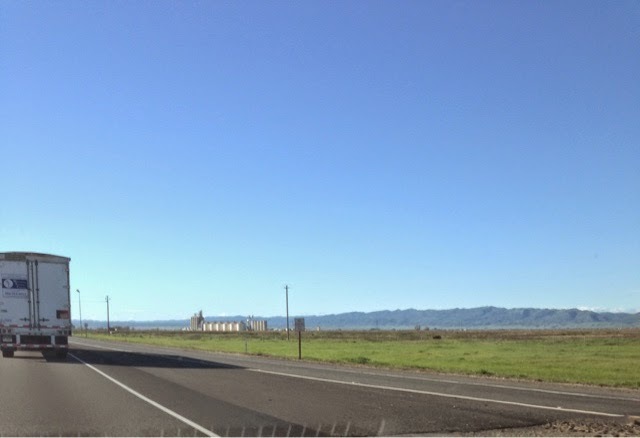 The Central Valley is a very large valley with mountains on either side and farms in between. Here is a fruit tree farm. There are signs all down the valley that water = jobs. The lack of water is still a big problem for farmers. 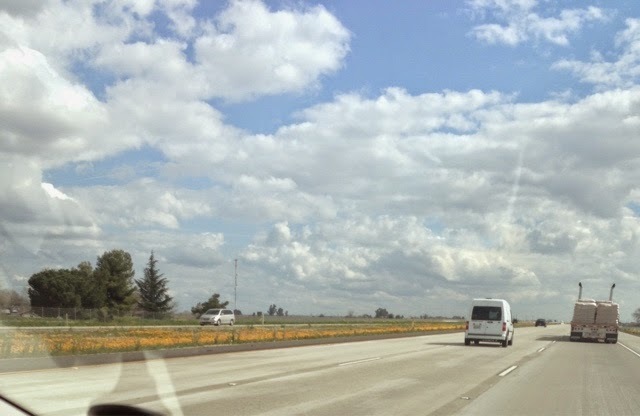 I was on I5 but switched to CA 99 that is also a divided highway that runs parallel to I5 but further west. 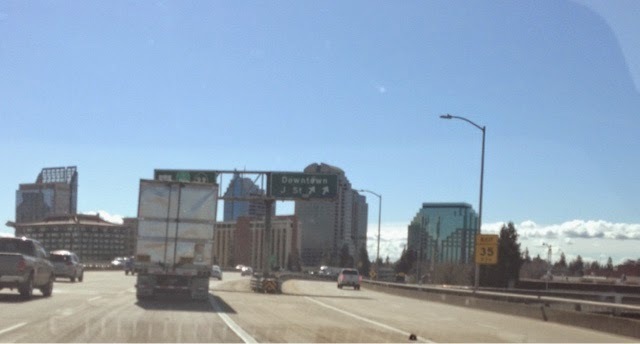 Here I am driving through Sacramento. This was another minor milestone for me. Haven driven the I5 from Sacramento to Oregon I can now say I have driven the entire length of I5 from Mexico to Oregon. Still flat and farms. Have some clouds that will give rain to the mountains and a few sprinkles to my campsite. 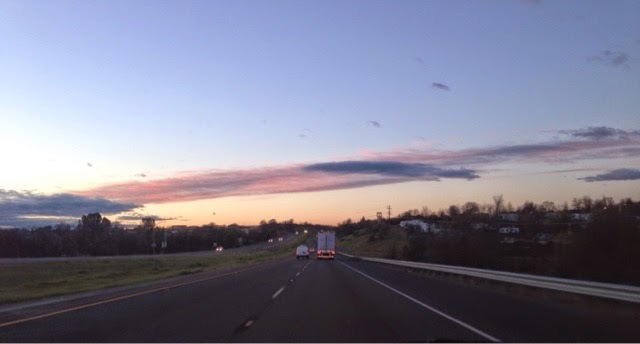 Once in awhile you see something different to break the the landscape up for the eyes. 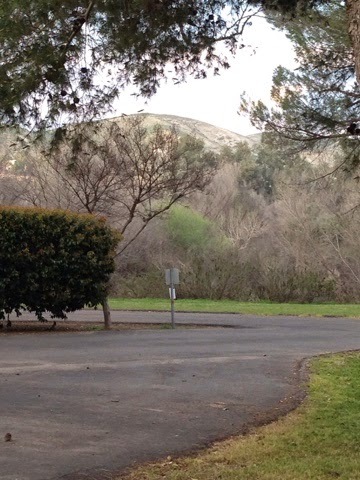 At 4:30 I finally arrived at my destination for the night at the county park northeast of Bakersfield, CA. The csmpground has about a dozen people camping here. It is off season so its $12.00 per night for camping but I get a $2.00 discount for being over 62. There are flush toilets and showers. 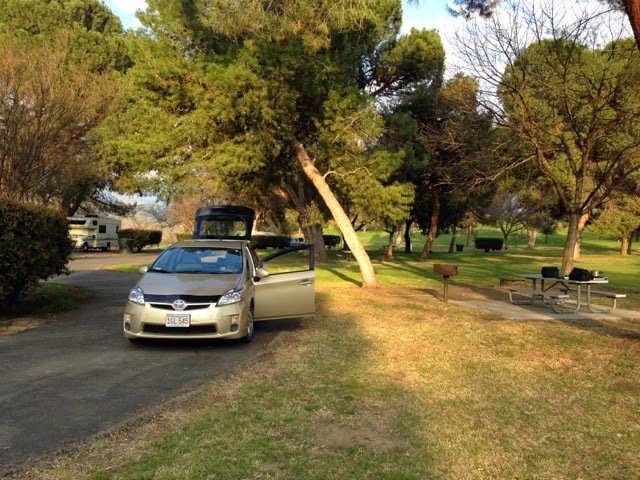 So, I said to him with a sense of exuberance that I had modified my a Prius to allow for sleeping and living out of it. I showed him around and he turns to me and says you must be an engineer. I said in a conciliatory tone, "Yes, You have that right." I went for a shower this evening since the campground last night didn't have one. I couldn't shave at the restrooms as in many places like this there is no hot water at the sink. Here is my shaving setup. The thermos is on the right. I heated hot water last night and this thermos will hold hot or cold for 24 hours. And it does. 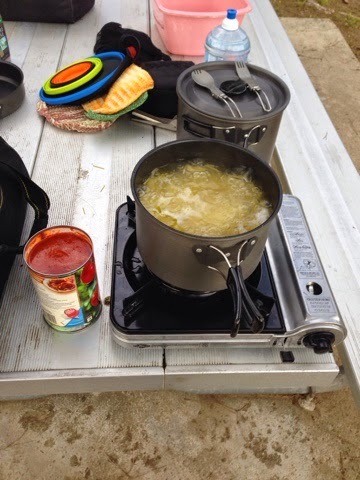 With my previously made hot water from last night I can shave at my campsite. 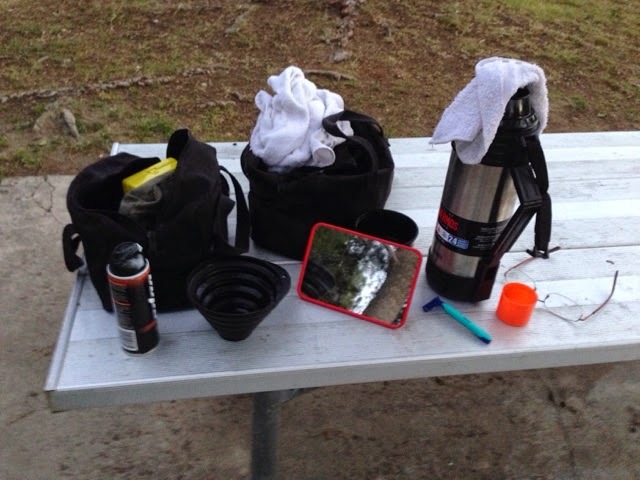 I have my camping mirror and a black folding parts tray from Harbor Freight that I use for a shaving dish. I have shaved this way a number of times with some in the back seat of the car. This was the first with hot water from yesterday. When I bought the thermos I bought with the intention of keeping hot water like this and the water was still so hot in it that it burned my hand when I put it in. It was worth the $50 I paid for it. No flowers tonight but I have a nice view of the hills nearby. There is a lake and nice brook too.